With each month of steady employment growth — in May, 175,000 jobs were created — the feeling of lassitude around the issues facing the American economy takes hold a little bit more. Amid the gathering drumbeat of pronouncements of economic optimism, most dramatically from the Federal Reserve Board on Wednesday, the feeling of dread that used to bubble up in the moments before each month’s jobs report has largely dissipated. That’s good news, certainly. But still, the thing that has replaced our collective dread may be even more dangerous in the long run — and that’s complacency. The slowness of our economic recovery should remain our biggest national worry, particularly as that sluggishness is manifested in inadequate job totals and stagnant incomes. For example, the Hamilton Project, a research group based at the Brookings Institution, has calculated that on the current trajectory, it would take until October 2022 for the unemployment rate to return to its level at the end of 2007, just before the recession began, when it stood at 5 percent. That would mean nine more years in which too many Americans without steady incomes struggled to make ends meet. Even if the rate of job growth accelerated to 200,000 per month, it would still take until late 2020 to get the nation back to full employment. 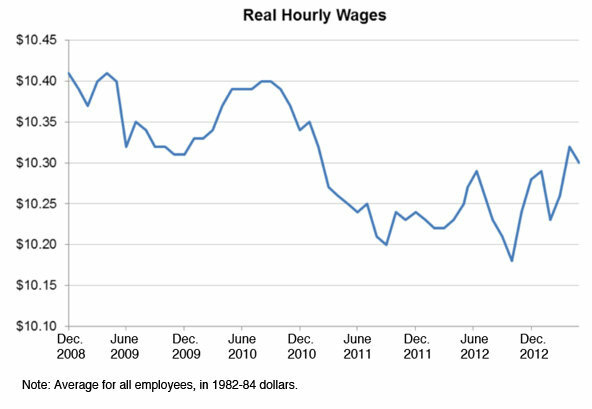 Equally concerning is the stagnation of wages. Over the past four years, the average incomes of Americans (after adjusting for inflation) have remained mired at 2008 levels. With income inequality incontrovertibly rising, that means that most Americans have suffered cuts in their purchasing power. But here’s the really incredible part: despite these worrisome facts, Congress has been doing nothing, absolutely nothing, to address the problem. Or of late, any of the nation’s real problems. 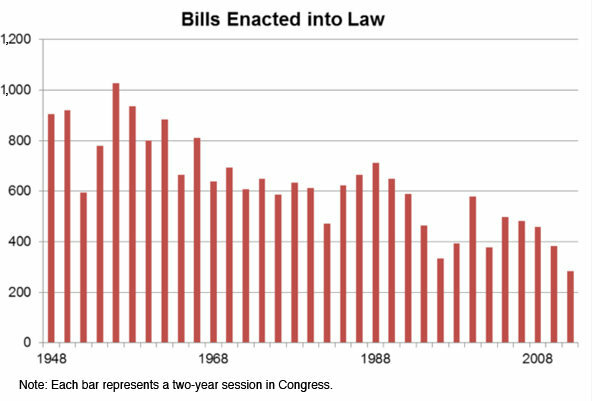 The 112th Congress, which ended on Jan. 3, passed 17 percent fewer bills than any previous Congress since 1948 (and possibly even before that), according to the Library of Congress. And this Congress is already off to a slower start than its predecessor. Small-government conservatives may view this as good news; the less government does, the happier they say they would be. I have a different opinion. I believe we have plenty of challenges and that it’s Congress’s job to address them. 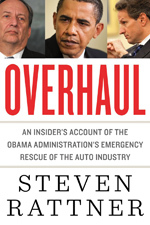 But neither the tepid economic data nor the president’s exhortations have moved Congress. After demanding that the Senate Democrats pass a budget for the first time in four years, a clutch of important Republican senators are now refusing to participate in the next procedural step, a conference committee between the houses of Congress to reconcile their competing budget proposals. So instead of pounding out thoughtful policy, Congress hurtles toward the next fiscal crisis — a double showdown this fall over financing the government for the next fiscal year, which begins Oct. 1, and over raising the debt ceiling that limits the federal government’s ability to borrow money to finance its budget deficit. No one should be surprised, then, that the American people’s confidence in Congress has now dropped to 10 percent, the lowest on record. It’s time for Congress to do something. That doesn’t mean that I’m signing up with those who advocate a Japanese-style exercise of scattering huge sums of government money willy-nilly to try to stimulate the economy. That may provide a short burst of energy, but it would compound our debt problem — yes, we still have a big one — without offering long-term relief. Happily, there’s no shortage of smart policy programs that, for small amounts of money (at least some of which could come from trimming other parts of the budget), could address the structural problems that are holding back our jobs recovery. For example, last week, the left-leaning Center for American Progress released an exhaustive compendium of ideas, some of them hugely idealistic (like overhauling the tax code), but others quite manageable in the short term. One such idea is to reprogram education spending to better target science and engineering — areas where the next generation of jobs is likely to emerge. Similarly, President Obama’s latest budget provides for long-term deficit reduction while carving out additional funding for critical needs like establishing an infrastructure bank. And yet, Congress has let these and other good ideas wither on the vine. Maybe the solution is to borrow one good idea from Republicans. At Republican leaders’ insistence, an earlier budget deal included a requirement that lawmakers’ salaries be held in suspension if the Senate and House did not each pass a budget. The threat seemed to work: both chambers passed one. Now it’s time to extend that concept to force Congress to do something to spur job growth and prepare the next generation of American workers — something, that is, other than the misguided sequester now in place.